Moving to another city from Hyderabad or moving within the city of Hyderabad are both equally stressful. You need to ensure that you find the best packers & movers in Hyderabad who take care of all the things that you need to have a smooth transfer. It is true that the best packers and movers would ensure that even the smallest and the most delicate items of your household are shifted with utmost care. You get home shifting services that cover packaging and moving of all the household items from your current home to the new home where you plan to move. It also includes unpacking and placement of all the things as desired by the clients. You get office shifting services where all the important papers and files are also moved from your present office location to the new site. It also includes packaging, moving of all the office furniture and then unpacking and placement in the new place. If you want to send international couriers, you can be assured that it can be done entirely with us. No matter what type of things you have, you can call us to get a quote. If you are moving from one part of the country to another and don’t want to drive all the way, you don’t have to worry anymore. We can help you transport your car without any hassle. Bikes can also be transported easily with us. You don’t have to worry about damages when you are using our services for bike transport. Packers and Movers charges in Hyderabad may vary based on the distance you want to cover and the type of items you want to move. If the distances between the original place to the new place is significant, then there would be higher charges while if it is in the vicinity, the costs would be lower. Also, if you are using a small vehicle for the transport, i.e., if you have few items, then the charges would be lower while for more things and more significant vehicle charges would be more. Hire professionals to help you move your household items or vehicle. Check the credential and reviews of the company. Sort the various items that you plan to move. Check if they provide you with insurance. Thoroughly read through the things that are included or excluded in the contract. These are certain things you need to keep in mind when you are moving to Hyderabad. Hyderabad is not a very expensive city. You can easily have a meal in a restaurant within 500 INR. Also, the overall rentals and other costs are not high. 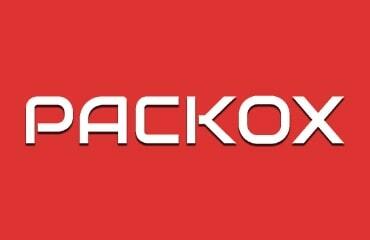 Why Packox – Packers & Movers Solutions? Packox packers and movers are the best in the market because they are highly professional and do not leave any stones unturned in providing 100% customer satisfaction. They offer all types of packing and moving related solutions. Try their services, and you will never be disappointed! Just fill the form and tell us your requirement.